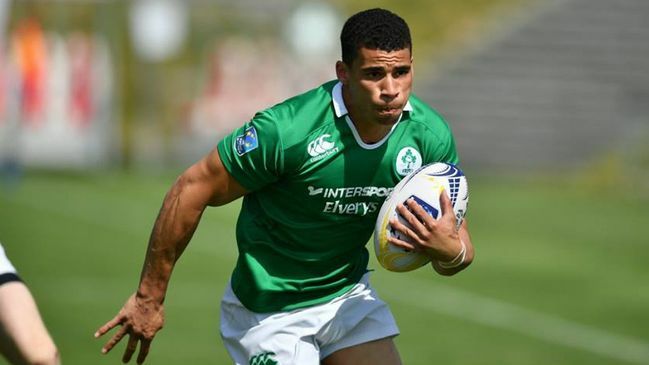 Tullamore native Jordan Conroy made headlines around the world over the June Bank Holiday weekend as he scored eight tries and helped Ireland to a shock third spot in the London 7s event. The Buccaneers clubman is noted as a sprinter in his younger days and he put all that speed to good use, clocking 36km/h while racing over the line against a strong USA team. Conroy was in scintillating form during the event which was part of the HSBC Men's World Rugby Sevens series, and saw Ireland upset the odds on more than one occasion. Ireland beat Spain but lost to Australia and Wales at the Pool stage, but once into knockout competition, they picked up the pace and pulled off a shock against the USA in the quarter-final. They lost to eventual winners Fiji in the semi-finals but once again pulled off a shock as they beat England in the third-place playoff game with Conroy once again starring and going over for a hat-trick of tries. Scroll back up to the top of this article to watch one of his blistering tries against the USA.